Roy Haynes wasn’t alone in using non-rudimental concepts to play from. Art Blakey’s playing wasn’t highly technical, although he had good chops. Elvin Jones played by thinking about colors and the moods or textures those colors would evoke. During one of my drum lessons with legend, Bernard Purdie, he took me for a ride in his black Caddie through downtown Manhattan. He opened the sunroof and told me to look up; skyscrapers, glass, immense structure that you’d see nowhere else. He said to figure out what those sights, sounds and energy could do to motivate my playing in different directions. So often we feel the we MUST incorporate rudiments, especially in our solos. Personally, I don’t think in rudimental terms while soloing. I’m more focused on the tune or the textures of the drums and cymbals. Can we make it more interesting if we play more textures and rhythms, rather than rudimental patterns? 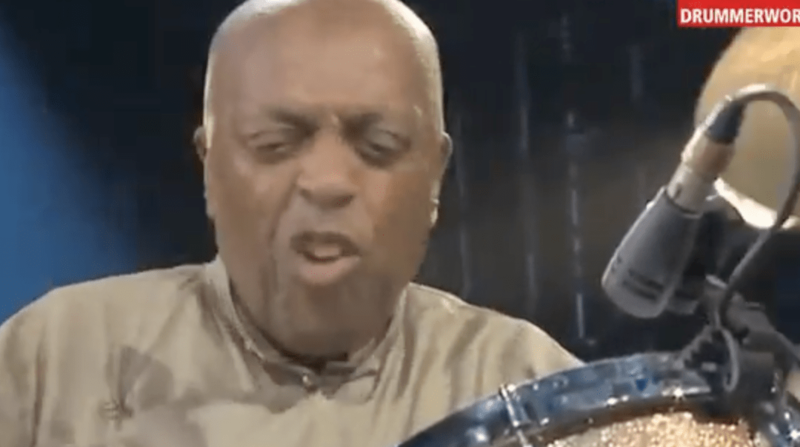 Listen to Roy Haynes solo and judge for yourself. By the way, he’s 85 yrs old in this video. Amazing energy.